The following lists events that happened during 1979 in New Zealand . 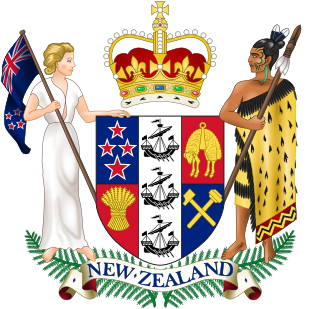 The Governor-General of New Zealand is the viceregal representative of the monarch of New Zealand, currently Queen Elizabeth II. 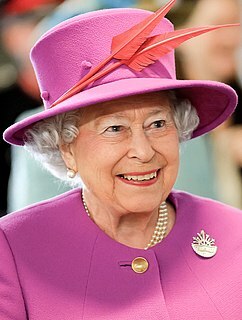 As the Queen is shared equally with the 15 other Commonwealth realms, and resides in the United Kingdom, she, on the advice of her prime minister, appoints a governor-general to carry out most of her constitutional and ceremonial duties within the Realm of New Zealand. Once in office, the governor-general maintains direct contact with the Queen, wherever she may be at the time. 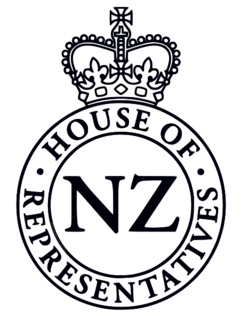 In New Zealand, the Speaker of the House of Representatives is the individual who chairs the country's elected legislative body, the New Zealand House of Representatives. The individual who holds the position is elected by members of the House from among their number in the first session after each general election. The current Speaker is Trevor Mallard, who was initially elected on 7 November 2017. Sir John Richard Harrison was a New Zealand politician. After serving in a number of capacities in the National Party, he served as Speaker of the House of Representatives from 1978 to 1984. Sir Wallace Edward Rowling, often known as Bill Rowling, was a New Zealand politician who was the 30th Prime Minister of New Zealand from 1974 to 1975. He held office as the parliamentary leader of the Labour Party. 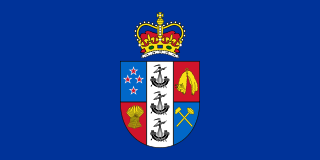 The Mayor of Auckland is the directly elected head of the Auckland Council, the local government authority for the Auckland Region in New Zealand, which it controls as a unitary authority. The position exists since October 2010 after the amalgamation of various territorial authorities. The mayor is supported by a deputy mayor. Sir Dove-Myer Robinson was Mayor of Auckland City from 1959 to 1965 and from 1968 to 1980, the longest tenure of any holder of the office. He was a colourful character and became affectionately known across New Zealand as "Robbie". He was one of several Jewish mayors of Auckland, although he rejected Judaism as a teenager and became a lifelong atheist. He has been described as a "slight, bespectacled man whose tiny stature was offset by a booming voice and massive ego". The Mayor of Hamilton, New Zealand is the head of the municipal government of Hamilton, New Zealand, and presides over the Hamilton City Council. 8 August – 1979 Abbotsford landslip: Sixty-nine homes in the Dunedin suburb of Abbotsford are left uninhabitable after 18 hectares (44 acres) of land slips 48 metres in 15 minutes. 28 November – Air New Zealand Flight 901 crashes in Mount Erebus, Antarctica, killing all 237 passengers and 20 crewmembers aboard. Michael A Noonan wins the Robert Burns Fellowship. Nambassa beach festival, touring family roadshow. Whangamata Waihi Beach Mount Maunganui and Coromandel. Nambassa three-day music, crafts and alternative lifestyle festival on Phil and Pat Hulses' 400-acre (1.6 km2) farm in Golden Valley, north of Waihi. Attendance 75,000 plus. Summer '79, outdoor arts festival in the parks of Wellington - including the Botanical Gardens, the Newtown Zoo, the Town Belt and several suburban parks. Benny Award presented by the Variety Artists Club of New Zealand to Eddie Hegan and Chic Littlewood. Tony Good wins his first national title in the men's marathon, clocking 2:18:47.3. A New Zealand team consisting of Larry Ross, Mitch Shirra, Ivan Mauger and Bruce Cribb win the motorcycle Speedway World Team Cup held at White City Stadium in London. 5th Netball World Championships held in Trinidad and Tobago. Australia, New Zealand and Trinidad and Tobago all tied for first place. 15 May (in Samoa): Chris Masoe , rugby union player. 8 June: Adine Wilson , netball player. 2 July: Michael Papps , cricketer. 30 July: Louise Corcoran , skeleton racer. The following lists events that happened during 1962 in New Zealand. The following lists events that happened during 1965 in New Zealand. The following lists events that happened during 1971 in New Zealand. The following lists events that happened during 1973 in New Zealand. The following lists events that happened during 1975 in New Zealand. The following lists events that happened during 1976 in New Zealand. The following lists events that happened during 1977 in New Zealand. The following lists events that happened during 1978 in New Zealand. The following lists events that happened during 1980 in New Zealand. The following lists events that happened during 1981 in New Zealand. The following lists events that happened during 1982 in New Zealand. The following lists events that happened during 1984 in New Zealand. The following lists events that happened during 1988 in New Zealand. The following lists events that happened during 1985 in New Zealand. 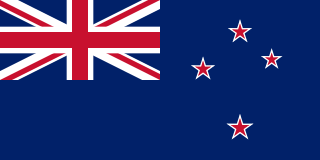 The following lists events that happened during 1998 in New Zealand. The following lists events that happened during 1921 in New Zealand. ↑ "Elections NZ - Leaders of the Opposition". Archived from the original on 17 October 2008. Retrieved 6 April 2008. ↑ "ASN Aircraft accident Fokker F-27 Friendship 500 NK-NFC Manukau Harbour". Aviation Safety Network. 27 February 2005. ↑ Dominion Post, July 29 2017 page A12: "Couldn't car-less"
↑ "Allied Press History". Allied Press. Archived from the original on 2006-08-31. ↑ "List of NZ Trotting cup winners". Archived from the original on 22 February 2012. Retrieved 6 May 2009.